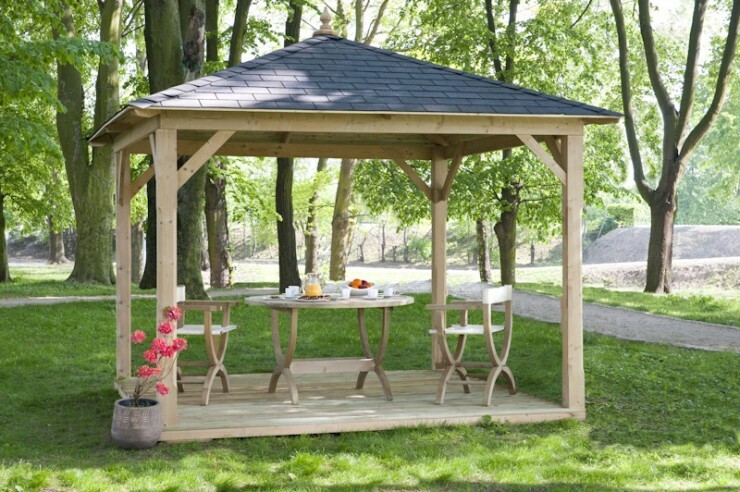 The Monaco Canopy Gazebo is very versatile and has many uses in the garden, it is a marvellous building as a cover for your hot tub, as a meeting place for friends and family and great for the children who love to play in the garden. 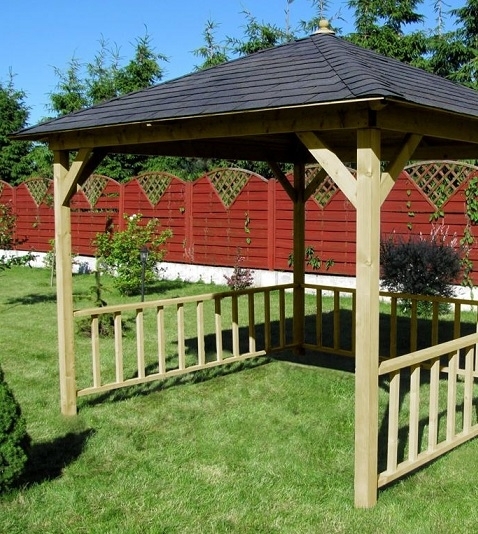 This building will keep them cool in the sun and dry in the rain. 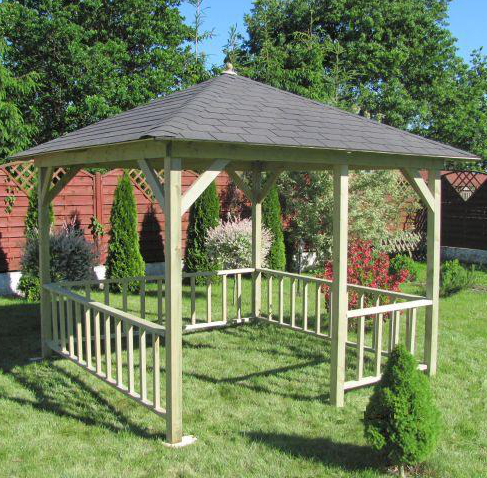 We also offer an optional drinks shelf, floor deck and balustrade with a choice of green or black roof tiles.